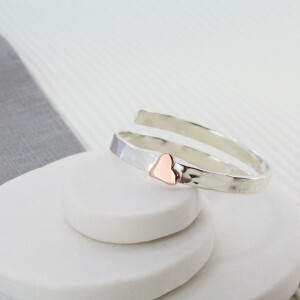 Length of chain Choose an option14"16"18"
Beautiful tiny personalised hammered sterling silver cross with solid rose gold or copper heart in personalised greetings box. 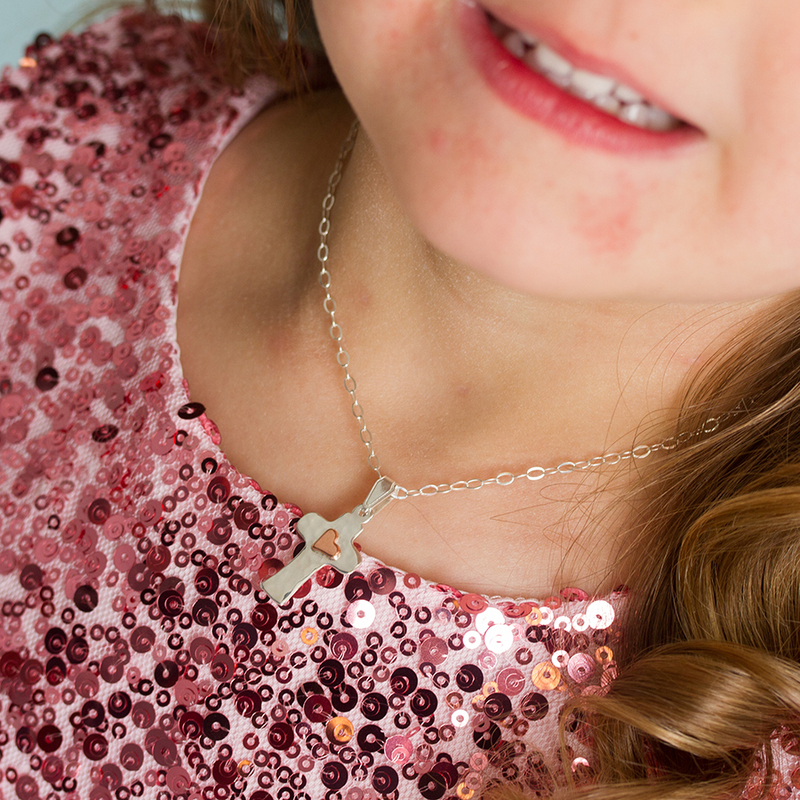 This lovely hammered cross has been handmade in my studio in Cornwall and the addition of the little solid rose gold or copper heart is a great design feature and a symbol of love. 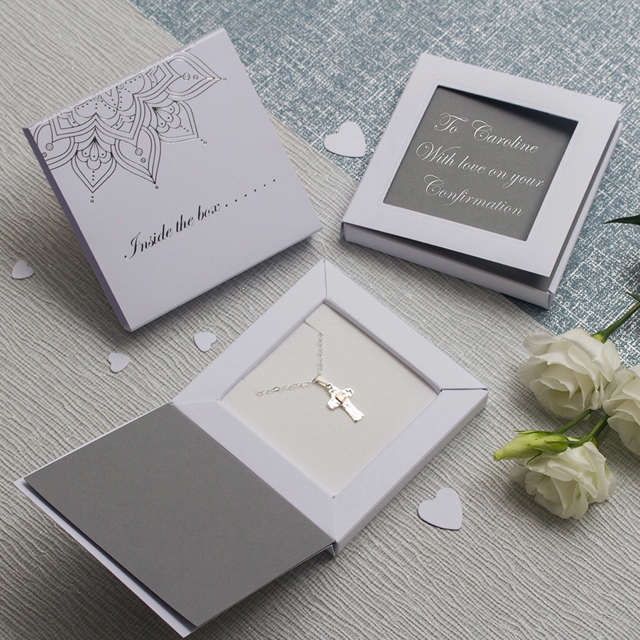 The cross is presented in a personalised greetings box printed with your own message in luxury silver foil to make this a gift that she will treasure always. 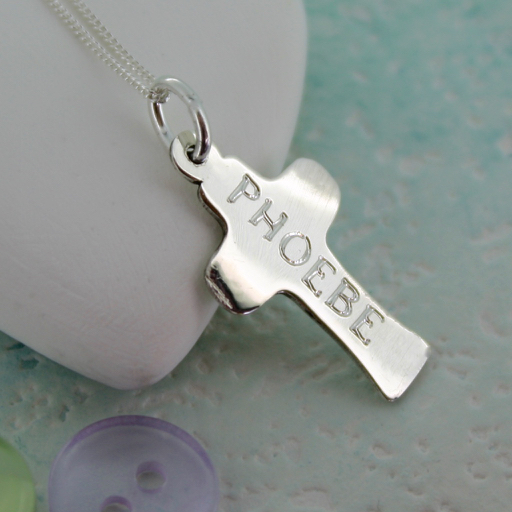 This cross is personalised on the back with a name of your choice. 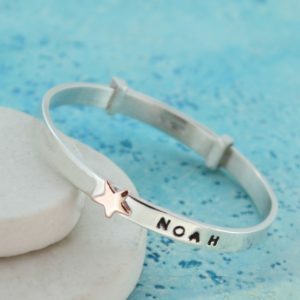 The size of the letters will be slightly smaller if a longer name is chosen. 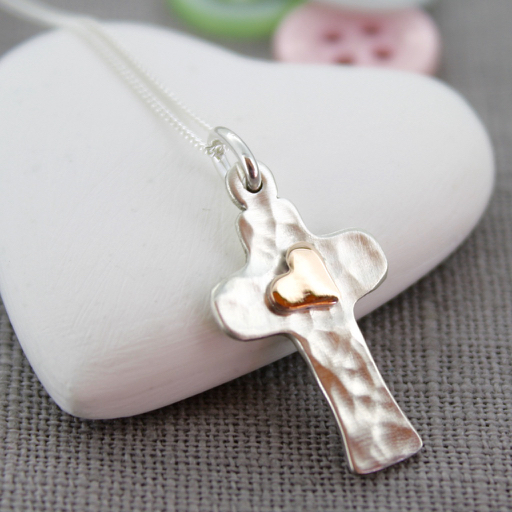 This cross is perfect as a Christening gift or for a child’s birthday. 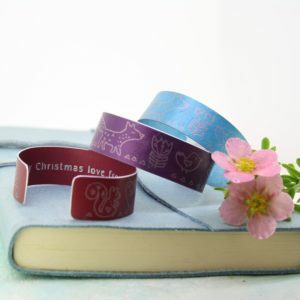 It is also large enough for an adult to wear. Please choose a longer chain. The chain is available in 14″, 16″ or 18″.